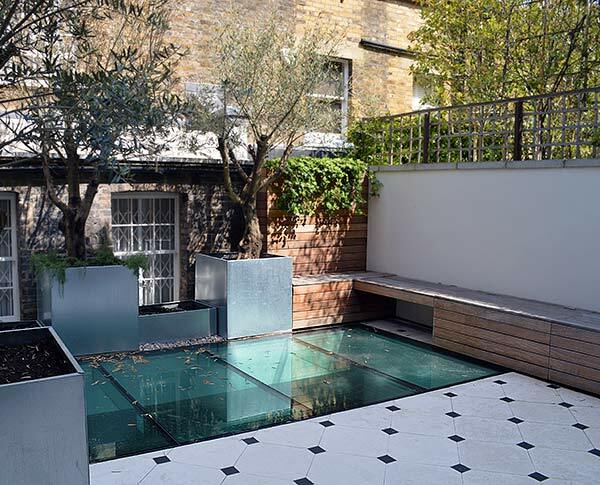 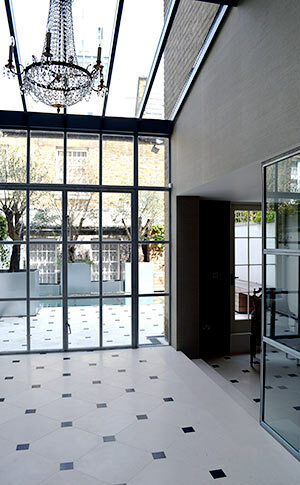 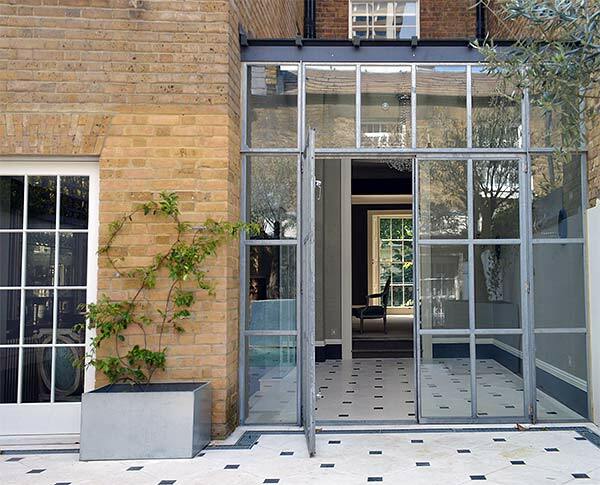 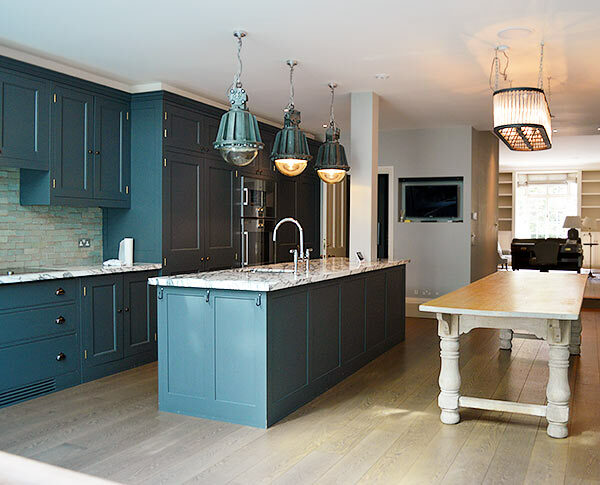 Negotiations with Westminster Council allowed us to lower the whole basement of this five storey Knightsbridge listed building, excavate a new basement room to the rear and add a conservatory and landscaped roof terrace at ground floor level. 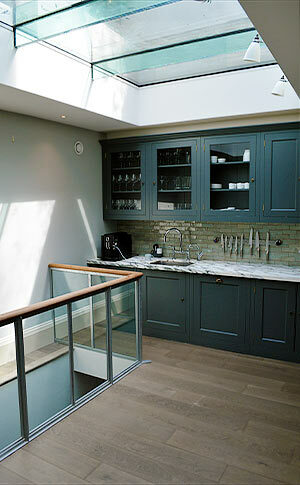 The kitchen is lit from a huge glass floor - part of the roof terrace above. 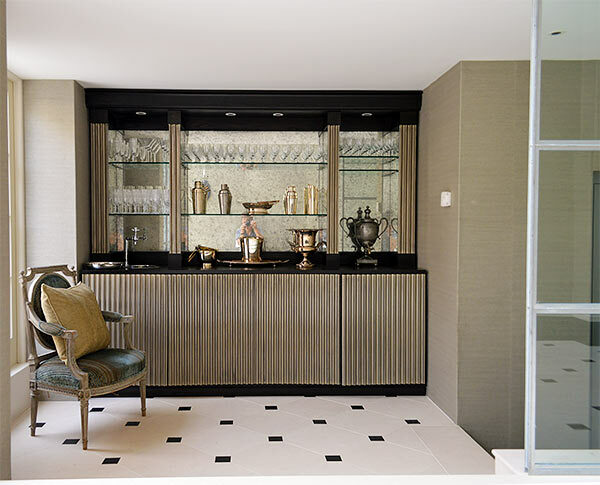 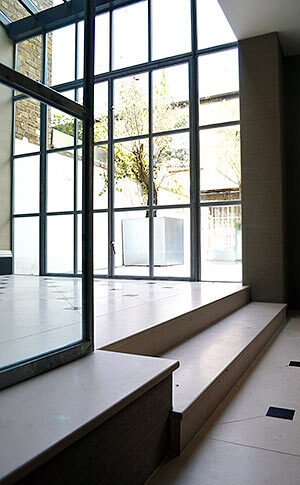 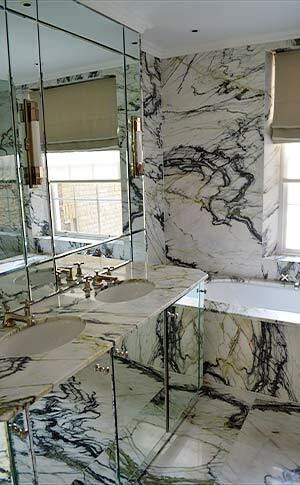 We worked closely with interior designer Conrad Roeber to recreate the look of a classic Georgian townhouse with Art Deco glazed additions.